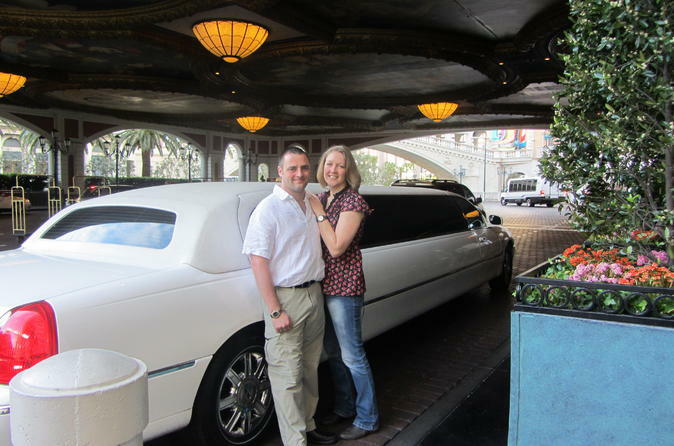 The only way to end your Las Vegas trip - in style! Skip the stress of booking a taxi or finding a shuttle service when your Las Vegas trip comes to an end. Just enter your flight details when you book, pay in advance, and then show your voucher to your driver. There is no need to tip your driver as that is all taken care of for you! Meet your driver at your hotel, and then sit back and take in your last glimpses of Sin City’s bright lights as you travel to McCarran International Airport in a private, super-stretch limo. This transfer makes traveling to and from the airport convenient and reliable – with no turbulence! The price displayed is per person, based on six passengers per vehicle. driver was on time at arranged pick up helped with luggage. This was an excellent way to end an amazing holiday and really good value when the cost is split between a group of people. Kept everyone smiling until we got back to the airport. We did this to tick riding in a limo off our bucket list. It was a fun experience and a great way to end our Vegas stay. Great way to start our holiday being picked up in a luxury limousine. Our driver was waiting for us when we arrived and was really friendly telling us about places to see and where to go for meals. Would highly recommend a great way to arrive in Las Vegas. Only negative was the lateness of the driver and not being able to contact for advice. Harem scared ride to airport by a driver who was obviously in a hurray . Very professional and great service. The driver was waiting at the baggage claim like I was told and was on time. Our driver Ari was very helpful and gave us some good tips regarding Vegas. 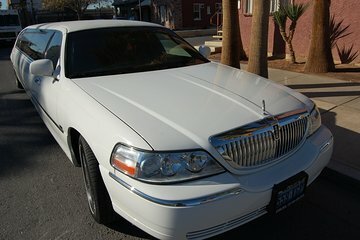 Limo was spotless and the champagne very welcome!